Magic is a super tiny little llama, but what he lacks in height, he doubles in attitude! He joined our trekking team in 2018 and has settled into the herd well. 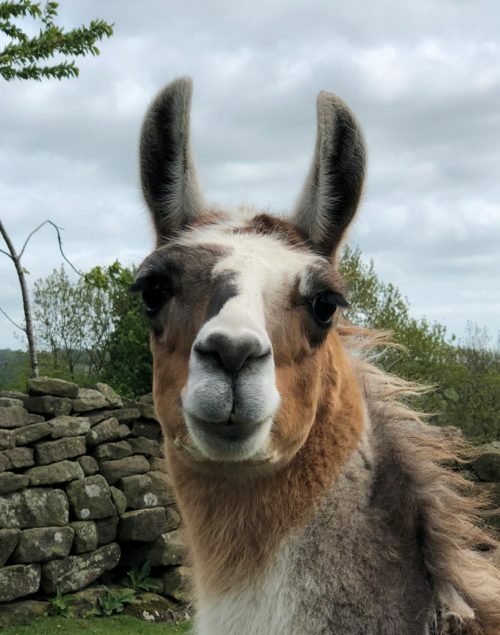 Magic has a very bossy nature and isn’t afraid to tell the other llamas off – he is letting everyone know that although he maybe small, he isn’t one to mess with! He is quite a greedy boy out trekking and loves to pinch any vegetation he can get his lips on. Although Magic is a bossy soul with the other llamas, he is very affection with his humans and loves a cuddle! Magic is quite happy to trek out with a variety of people – he loves everyone!